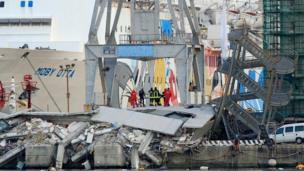 Images of the aftermath of a fatal crash in the Italian port of Genoa. 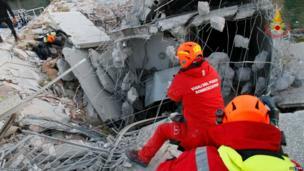 The control tower in the Italian port of Genoa was reduced to rubble and a single, leaning staircase after a cargo ship slammed into it late on Tuesday night, killing at least seven people. The ship that crashed was the Jolly Nero. 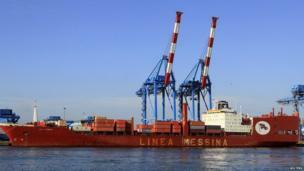 It was manoeuvring out of the port at around 23:00 local time with the help of tugboats in calm weather. 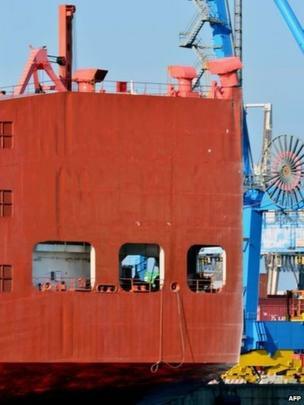 Some damage is visible on the stern of the container ship. 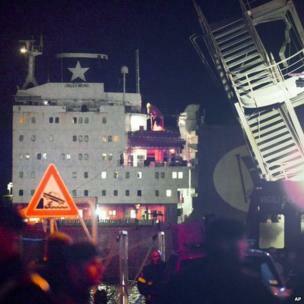 The ship's owner, who arrived at the port soon after the incident, told journalists he was "utterly shocked". The Jolly Nero is almost 240 metres (787 ft) long. Its captain is being investigated by prosecutors with a view to possible manslaughter charges. 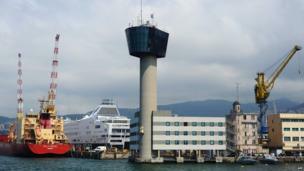 The control tower was was more than 50m (164ft) tall. About 13 people were inside at the time of the crash, which happened during a shift change. 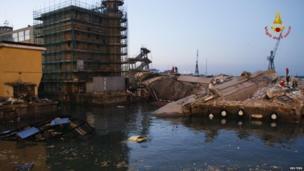 The tower crashed backwards into the water, pulling down buildings around it. Rescue workers have been sifting through rubble on the dock and in the water. 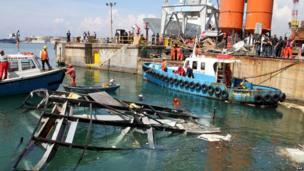 At least two people are still missing and four others were injured, two of them critically. The BBC's Alan Johnston in Rome says the crash has revived memories of the accident involving the Costa Concordia cruise ship off the Italian island of Giglio in January 2012, which left 32 people dead.